Support your teachers as they implement Kagan Structures in their own classrooms. 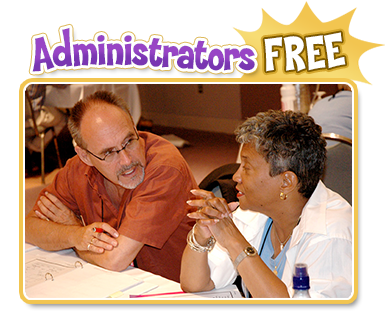 This workshop is designed for administrators, staff trainers, mentors, and site-level leaders. You'll learn Kagan's breakthrough approach to coaching. Through working with thousands of teachers, Kagan has developed a revolutionary coaching method that transforms the implementation of Cooperative Learning Structures and boosts student outcomes. Rather than giving feedback out of context after a lesson, Kagan Coaching offers specific and immediate feedback as teachers teach. Boost teacher accountability and the fidelity of implementation with this safe and supportive approach to coaching. Kagan Structures Level I completed at least six months prior.